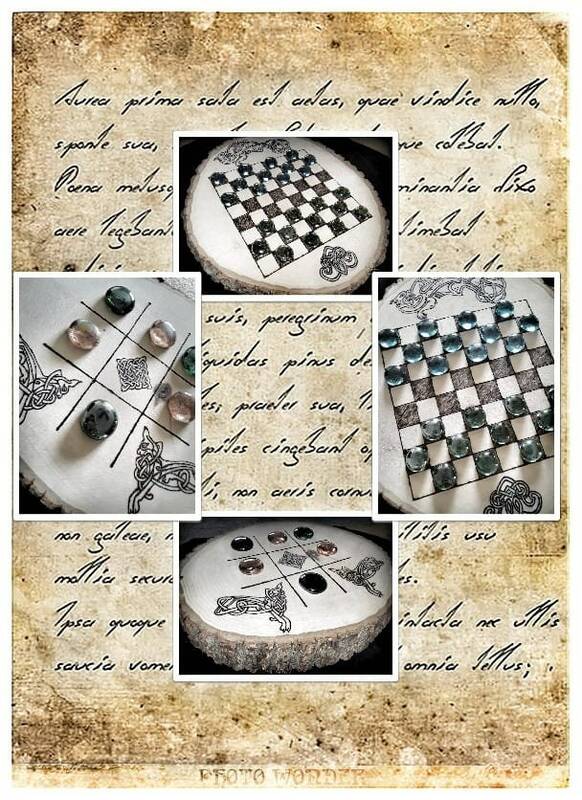 Burned into each side are stylish celtic knots with grid board using a burning technique called pyrography. One side is checkers, one side is tic-tac-toe. 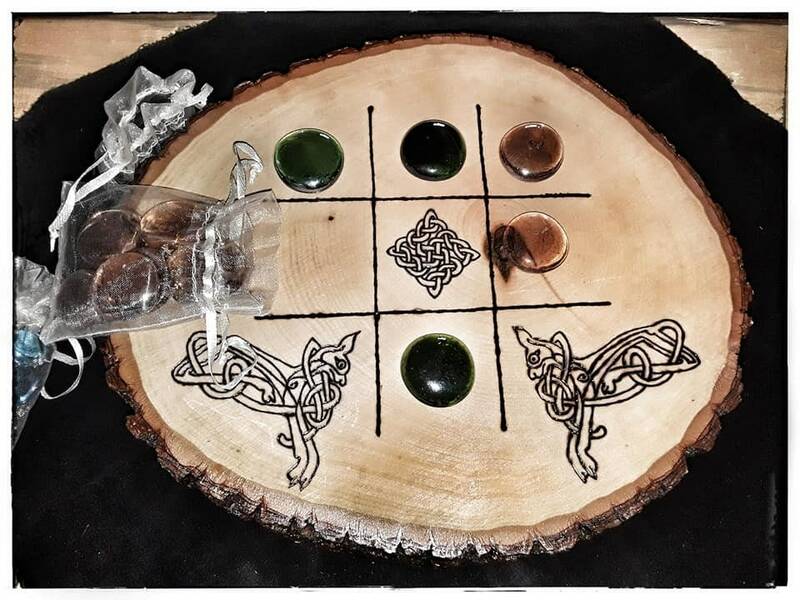 Comes with a small set of dragon stones for the checkers side and a larger set of dragon stones for the tic-tac-toe side. 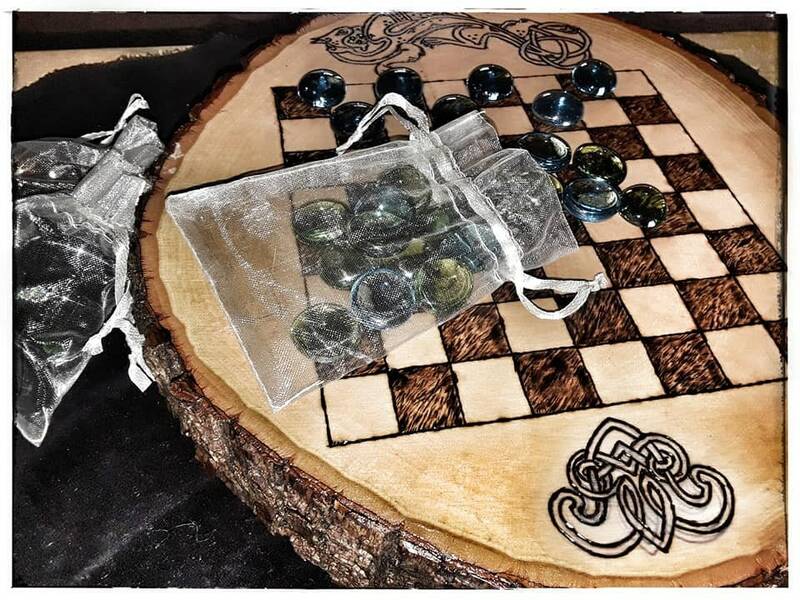 All dragon stones come in small organza baggies and entire game fits down into large burlap drawstring bag. Sealed with a poly. I ship USPS First Class and Priority mail. The type of shipping will depend on the item purchased. Generally 2 day mail is the fastest these little feet can fly. If you need an item faster you can always send me a message to upgrade your shipping. Keep in mind there will be an additional cost for any upgrades and any shipments over seas.